Joe Daniher has increased in his training load over the past fortnight and the club is hopeful he could play some part in the upcoming JLT Community Series. 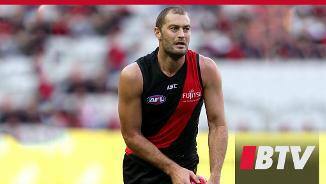 Tom Bellchambers has backed the depth of Essendon’s rucking brigade as the league’s talls look to enforce a greater influence on the game in 2019. The whole team gathered together for an fierce training session in preparation for the beginning of the 2015 AFL Season next week. 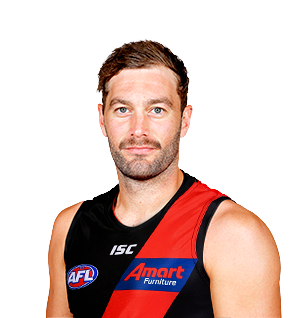 Powerful ruckman coming off arguably a career-best season for the Bombers in 2018 where he averaged 33 hit-outs, three clearances and six contested possessions. 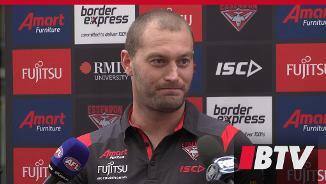 After suffering an injury-interrupted career since his debut in 2008, the experienced Bomber’s return of 20 games – his highest to date – showed he still has plenty to give for the side. 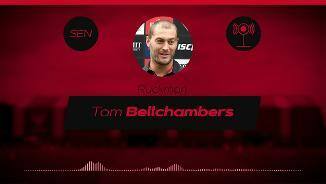 Claiming the position as the club’s first-choice ruck in recent seasons, Bellchambers’ physicality and strong hands have seen him dominate in the air and become an extremely important target for his teammates throughout the ground. Entering his 12th season at the club, the towering Tasmanian will be driven to lead the team from the front and achieve success.